Is anyone excited about the epic total eclipse that will happen on August 21st? I'm a bit excited about it. Hope, I am able to see some of it. I'll try to record it on my Birthday. The place I work is providing glasses to view the eclipse. Too bad I'm not in the area to see the Total solar eclipse, but I'll see partial 80% solar eclipse which is better than 50 or 20%. I've never seen a solar eclipse in my life and am quite excited to see it. For me the next best eclipse would be April 8, 2024 which would be a 90% partial eclipse considering I'm still living in the NJ or PA area. Well seems like TWC is really hyping this Eclipse, as they've updated their graphics for the Total Solar Eclipse. At least TWC is on the air live (though they maybe would be anyway) and some different music is being played in the LOT8s. It's too bad there were so many clouds in my area, which was only 80% partial anyway. What a wonderful event this was to watch unfold this afternoon. 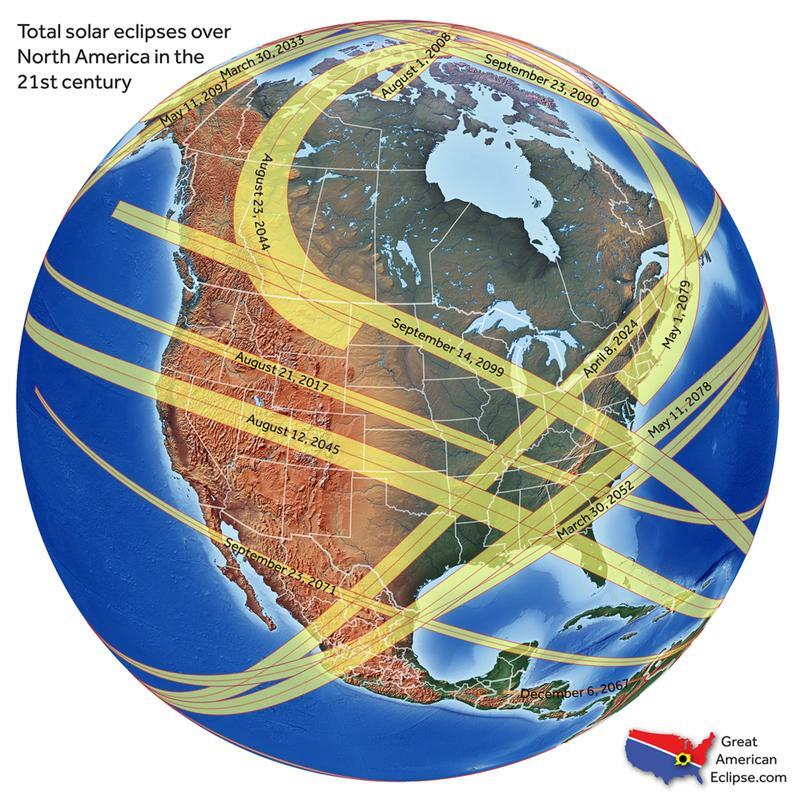 This was my first solar eclipse experience, I read a Vox article not too long ago that showed a map of when the next Solar Eclipse events will occur over the remainder of the 21st century. It looks like my hometown of Atlanta will be in the path of totality in one of them......I only have to wait until May 11, 2078 to see it. I'll be 85 by then, it's a good thing I didn't miss this one just in case! I wasn't able to see it. Darn clouds were the blocking the view when it happened. Same here! I'll put the video of it on youtube one day. In 2024, I'll see complete totality.